The Canberra officer project, like the art of strategy itself, is about the creation of power. And the position of Vice Chief of the Defence Force is a striking example of the project’s building effort. In the 28 years since the Vice Chief job was brought into being, it has quickly gone from zero to zenith. From the moment of birth, this job has zoomed. The evolution of the Vice Chief position is one element in the battle by the Chief of the Defence Force to gather the power to match his title. In the way of the military, one of the tools in the Canberra officer project is the production of new traditions. And, yes, of course you can create ‘new’ traditions; politicians as much as the military do it all the time. In minder-speak, it’s about defining the history to support the narrative. The new tradition—hardening in place, if not yet fully cemented—is that the Vice Chief steps up to become the next Chief. Both sides of Oz politics have accepted this as a proper way to do business. This new custom is a striking piece of military construction, although it doesn’t always prevail. Other traditions matter in the CDF stakes. Governments choose, so a political favourite or a star can win (Peter Cosgrove). The services must all have a turn. This helped Angus Houston because there’d been six CDFs since the Air Force had last held the chair (plus Houston, one of the smartest men in the pack, had shown ministers his wares as Air Force chief and rated as a star). The Abbott government has just created a new norm by extending the top officer terms from three years to four years. If the Vice Chief to Chief succession tradition continues under this four year term rule, that’s setting up a military man (and eventually a military woman) to serve a total of eight years at the zenith. Likewise if a service chief steps up to CDF. For most of those in the military’s top tier, it’ll be four years and out. Power plus an extended time to use it is a potent combination. This is a notable military creation and significant extension of the achievements and ambitions of the Canberra officer project. Come back to the start to see how this tradition was kicked off by the first man to hold the title of CDF, Phillip Bennett. The previous column in this series  noted that Bennett created some of the symbols (the new traditions) of his role— placing the sign ‘Headquarters Australian Defence Force’ outside his Russell office and getting the number plate ‘ADF 1’ for his official car. 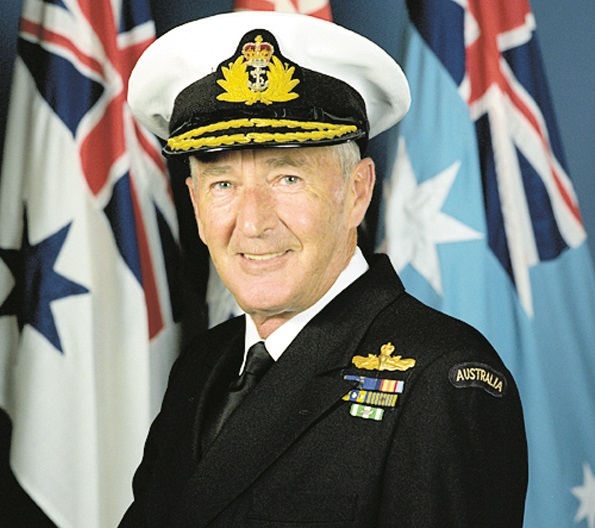 Bob Lowry’s biography  of Bennett records that his senior staff advised against the creation of the Vice Chief job because it would be ‘strongly opposed by the service chiefs’. The safer option would be to have a chief of staff to manage the staff of the new HQ. But the Defence Minister, Kim Beazley, sided with Bennett and in June 1986, the first VCDF was appointed. To date, there have been 12 Vice Chiefs. Three of them went on from the VCDF job to become service chiefs. Five of the VCDFs were promoted to become CDF; the latest Mark Binskin, who’ll step up from VCDF to CDF in July. To put it another way, there have been eight CDF’s since the Vice Chief job was created, and five of them went into that top job from the position of VCDF. The phrase that was the pivot of the first sentence of this piece—strategy is ‘the art of creating power’—was lifted from Lawrence Freedman’s masterful book Strategy. The other definition that Freedman embraces is that strategy is ‘a story told in the future tense’. The evolution of the position of VCDF illustrates both of those definitions. Certainly, setting up a leader to serve eight years at the zenith is an ambitious effort to shape the future. A new tradition that enables the ADF leadership to project eight years ahead is an elegant creation of the Canberra officer project.